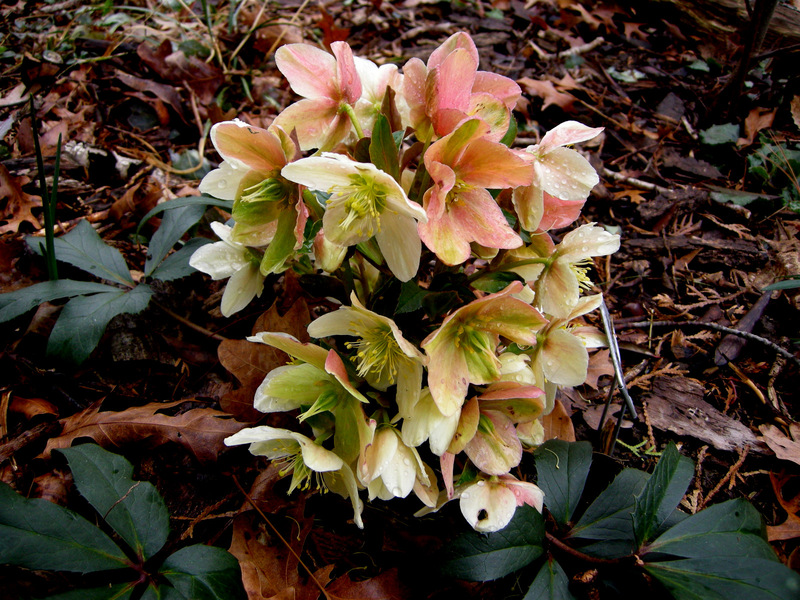 This entry was posted on February 29, 2012 at 7:37 am and is filed under bulbs for shade, Camellias, evergreen, garden to visit, hellebores, landscape design, Shade Perennials, Shade Shrubs, snowdrops, winter, winter interest with tags anemone-flowered hellebore, Asarum virginicum, Carolyn's Shade Gardens, Cyclamen coum, Cyclamen hederifolium, Daphne odora. Skimmia japonica, Galanthus 'Brenda Troyle', Galanthus nivalis, Galanthus plicatus, Galanthus S. Arnott, Galanthus woronowii, hardy cyclamen, Helleborus foetidus, Helleborus x ericsmithii 'Winter's Song', Ilex cornuta, Iris unguicularis, Mahonia japonica, Viburnum bodnantense 'Dawn'. You can follow any responses to this entry through the RSS 2.0 feed. You can leave a response, or trackback from your own site. 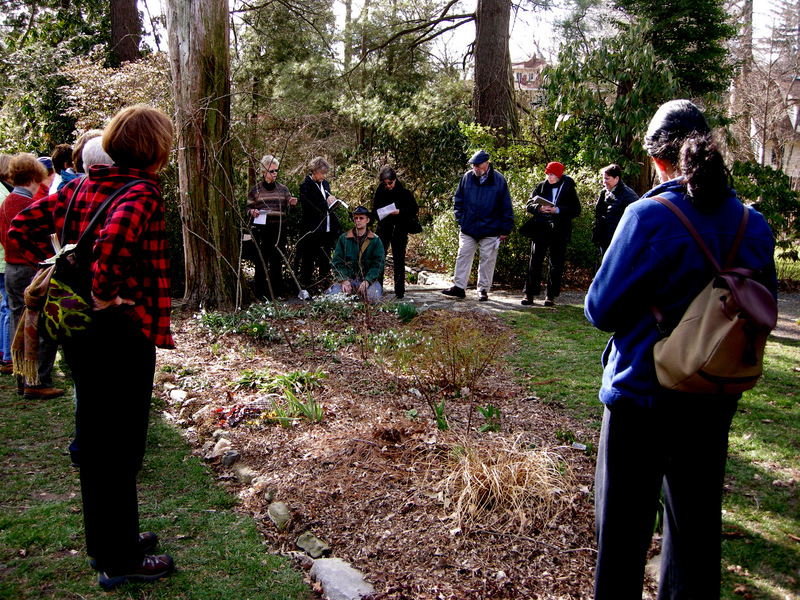 Many thanks for taking us on a virtual tour of Charles’ garden – what a wonderful selection of fantastic plants. 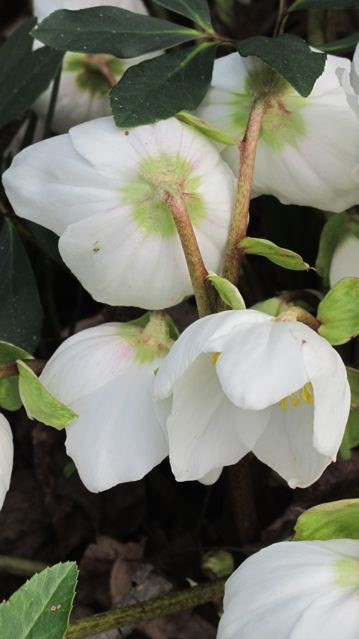 Especially loved the anamone centred hellebore, silver leaved cyclamen and G. woronowii. I have G woronowii here and it is seeding around nicely, I will be keeping a watchful eye on all my new seedlings in future!! This is just what I needed. 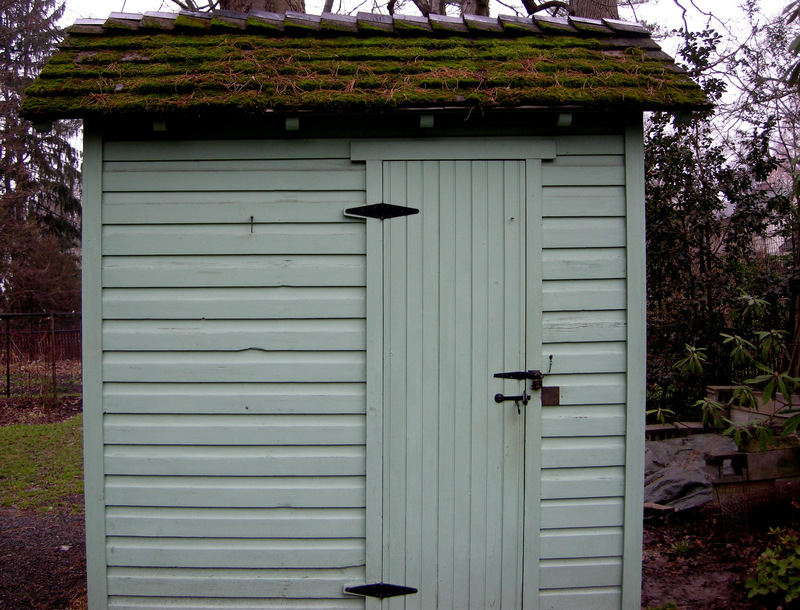 Looking at my garden to see where I need to add more winter interest. What a great selection! 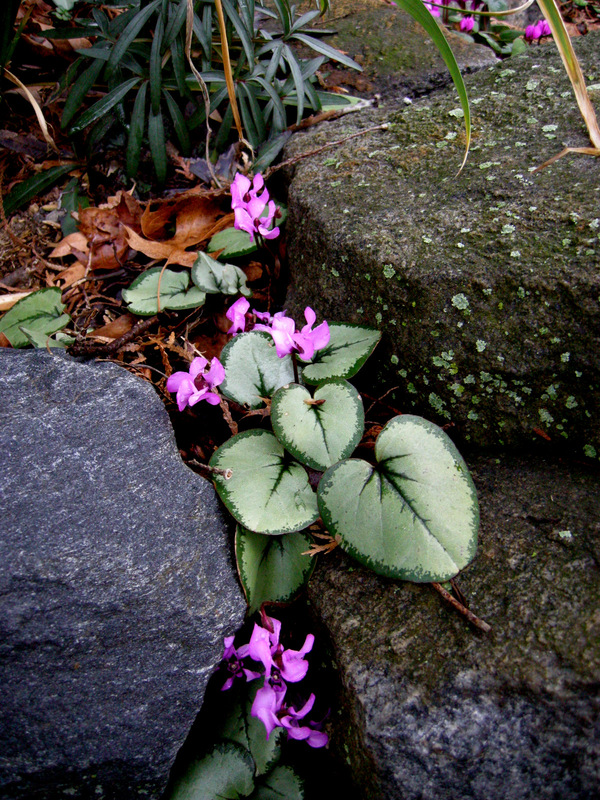 I love all the winter blooming plants amongst the rocks. Thanks for another excellent post. 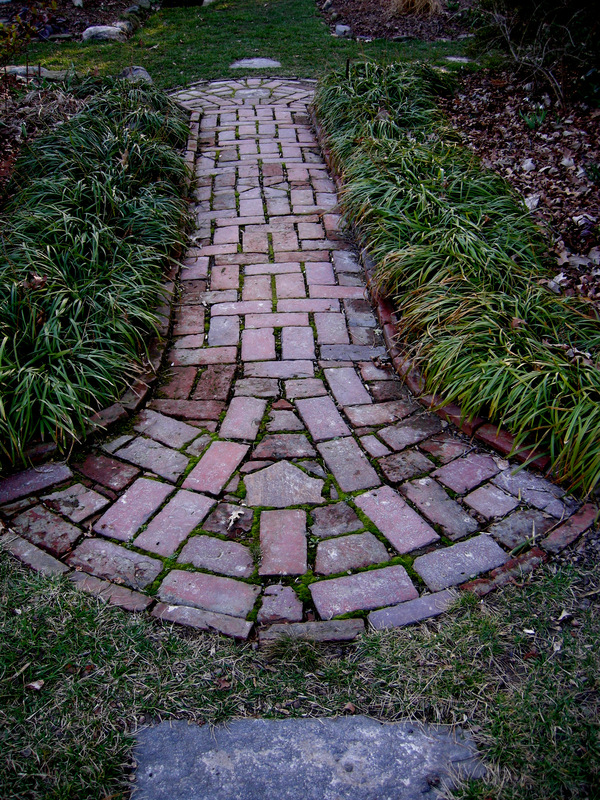 I particularly enjoyed the photos of the Cresson garden… so many interesting plants that start each gardening season off in such a marvelous way and the hardscape touches are particularly interesting to see as well. As you know I am particularly enamored by the cyclamens and searched for many hours to find a source for a few purpurescens which are quite hardy here to purchase. What a great post! I bet that seminar was fantastic! I didn’t realize just how many plants had winter blooms. Nice to see them all in one post. And I enjoyed seeing the hardscape, too. Lots of ideas here. 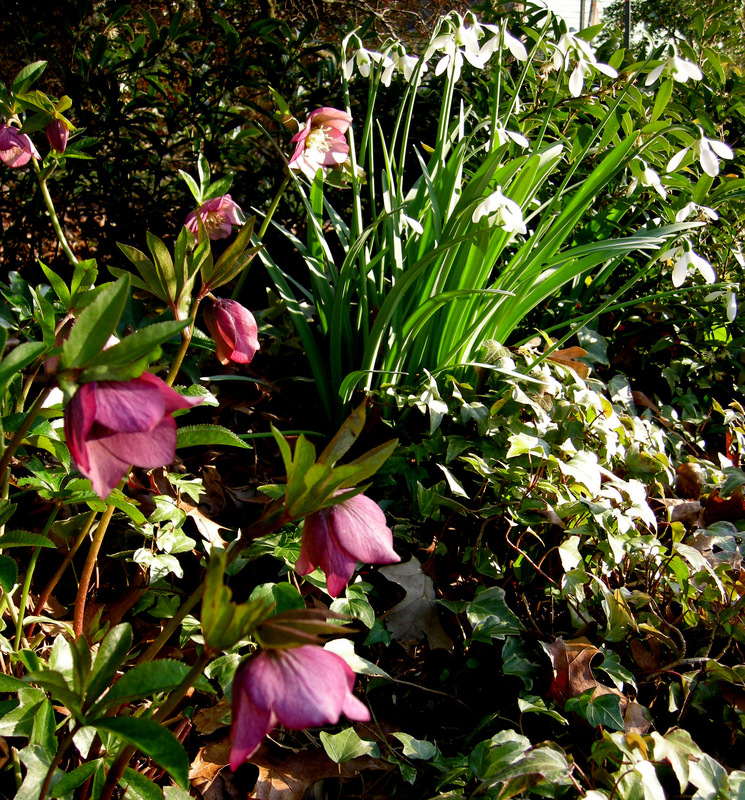 I was surprised to see Iris unguicularis planted with hellebores and cyclamen. I thought this iris was a sun lover and that it was best cultivated where it could be kept fairly dry in summer. Granted, most of what I’ve read about this iris from US sources comes from the Pacific NW where summers are naturally dry. I’d be curious to know what you might advise about how best to site Algerian iris in the mid-Atlantic region. 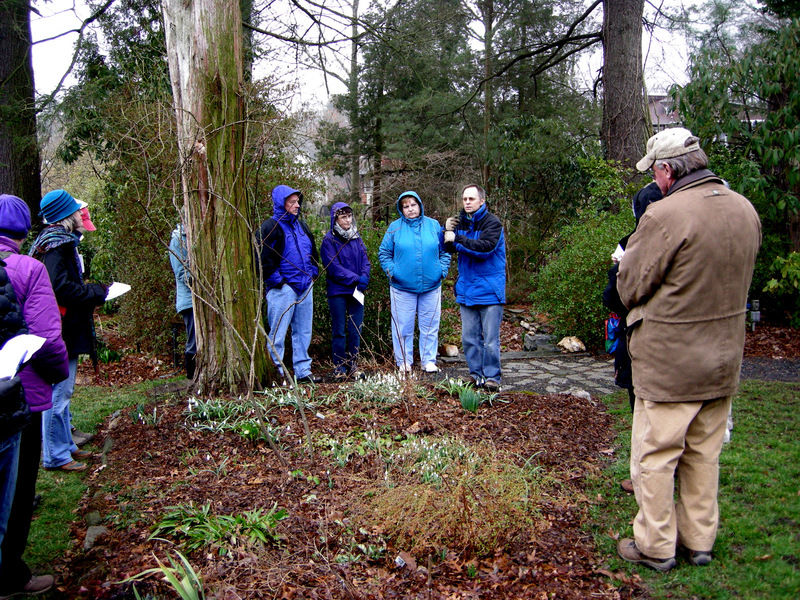 Thanks for sharing photos of your visit to Charles’s garden. It looks like the gardens I saw in Englad in February. 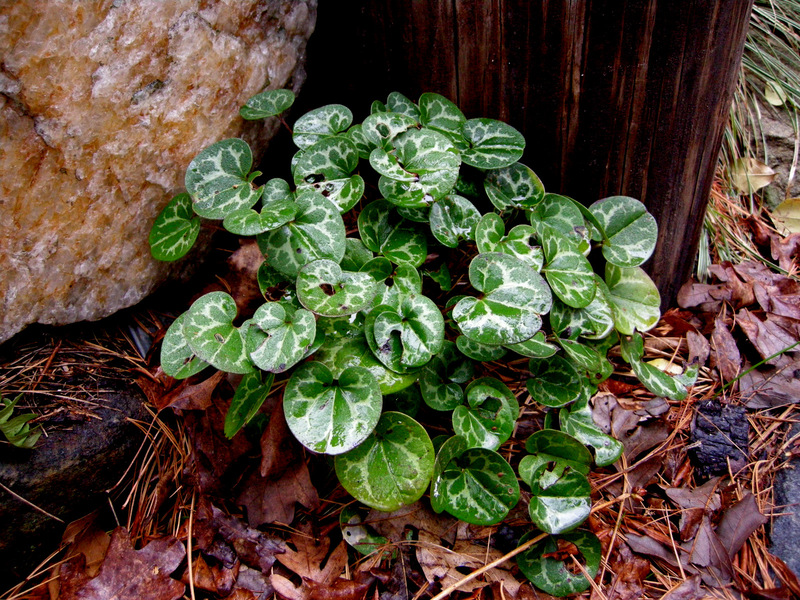 I love winter interest/blooming plants. 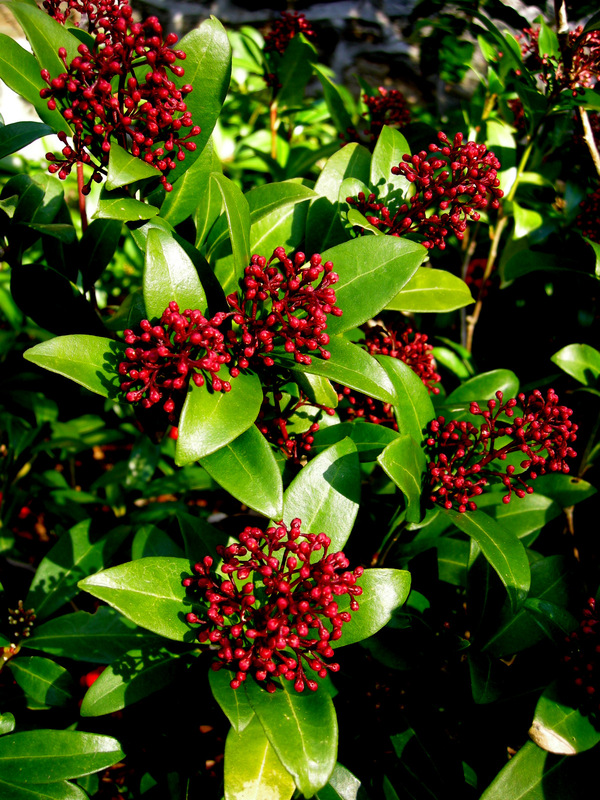 I am not sure all of those would be hardy here in my garden but I would love to add the Japanese skimmia and the mahonia. 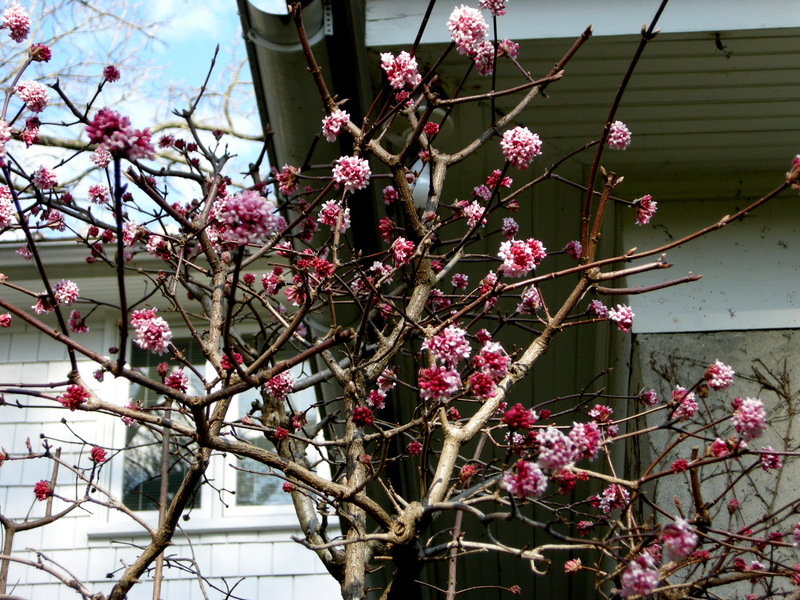 I have added viburnum bodnantense ‘Dawn’ to my garden last fall but no blooms yet. What a wonderful garden and full of lovely blooms and hardscape ideas. Winter design is so important and this topic is important to many of your readers. 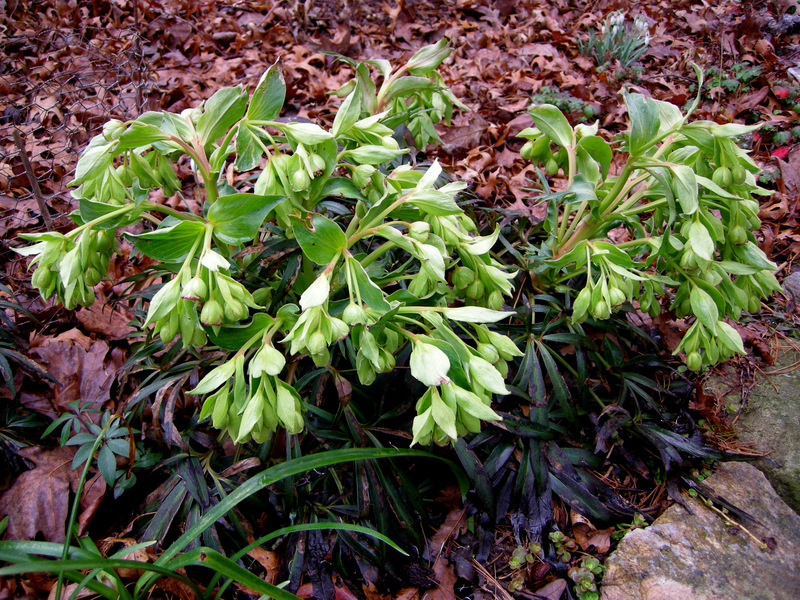 What a lot of winter-flowering plants. 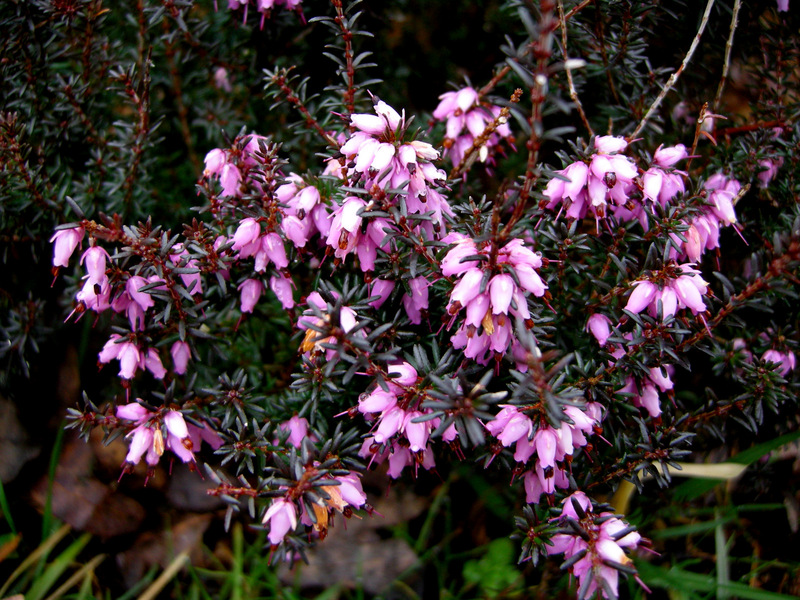 I particularly like the Erica ,and the unusual colour of Hellebore Winter’s Song, what an appropriate name. Algerian iris – that’s what it is!! I saw some in my Mum’s garden in England when I visited last month but didn’t recognize it. Thanks! I’m swooning over all those blooms and wishing I could have smelled every one of them! Thanks for sharing this class tour. 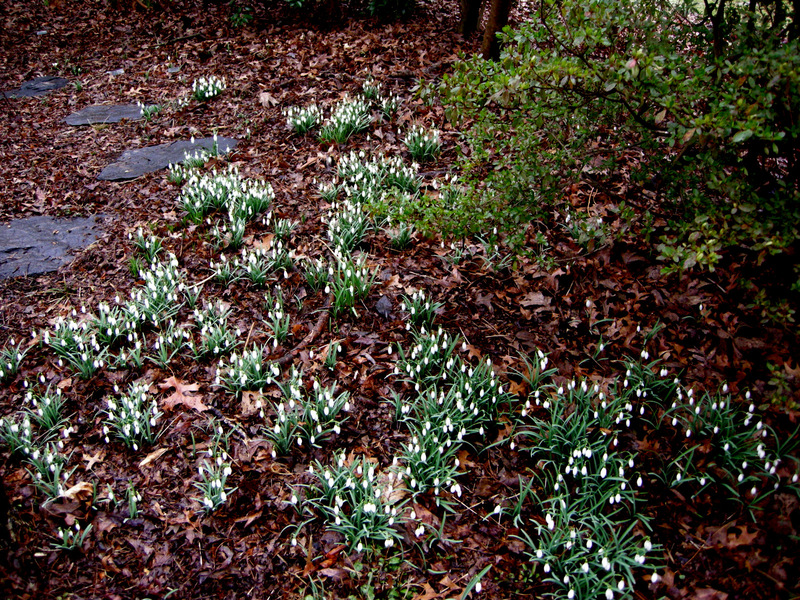 Goodness, this makes me realize just how devoid of flowers my garden is at the moment. 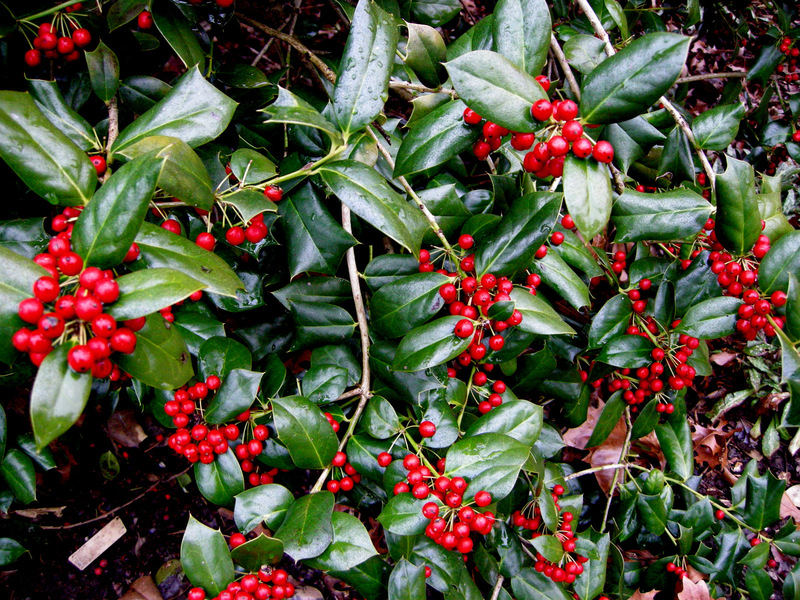 I love the Skimmia blooms, and I’ve never seen a Hedera with so many beautiful berries! That looks like a great garden on several levels. 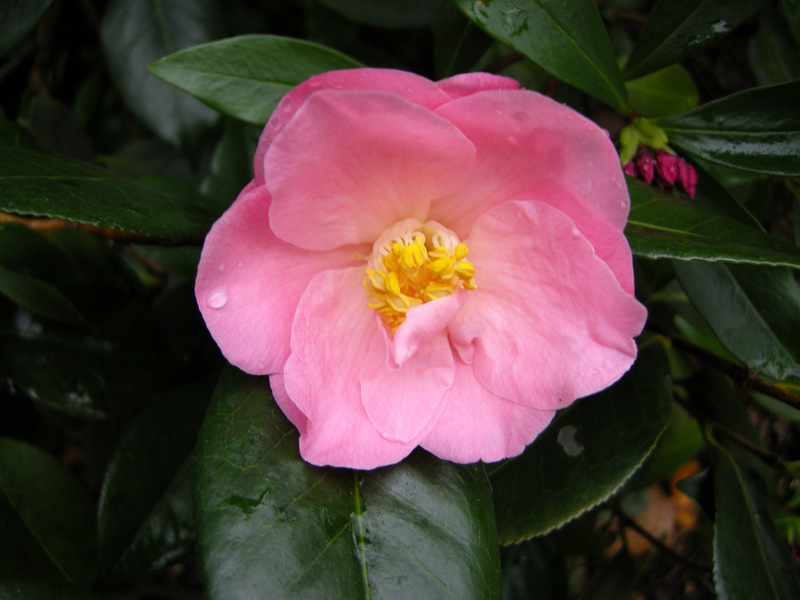 I am still amazed and glad to see that camellias live there. 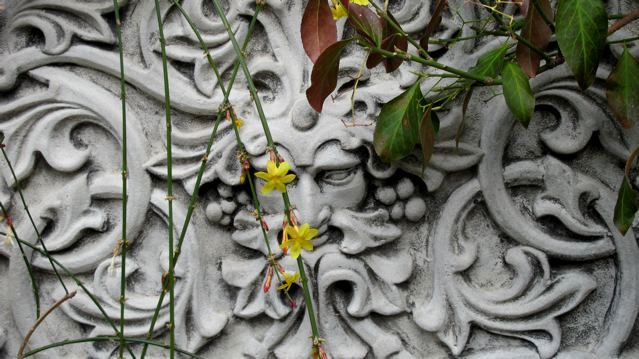 A thoroughly enjoyable look around Charles garden. Just the thing to rekindle my interest after a not so very bad Winter. More flowers have opened on my yellow lady Hellebore, looking as they should do this time. Carolyn, have you heard of this new Magnolia Fairy Magnolia Blush, seems like this one may be very hardy. Time I got Magnolias out of my head Carolyn. Definitely not the Winter to blame, pretty sure its with the lack of heat in Summer. So many beauties! I remember the related post from last year, too. 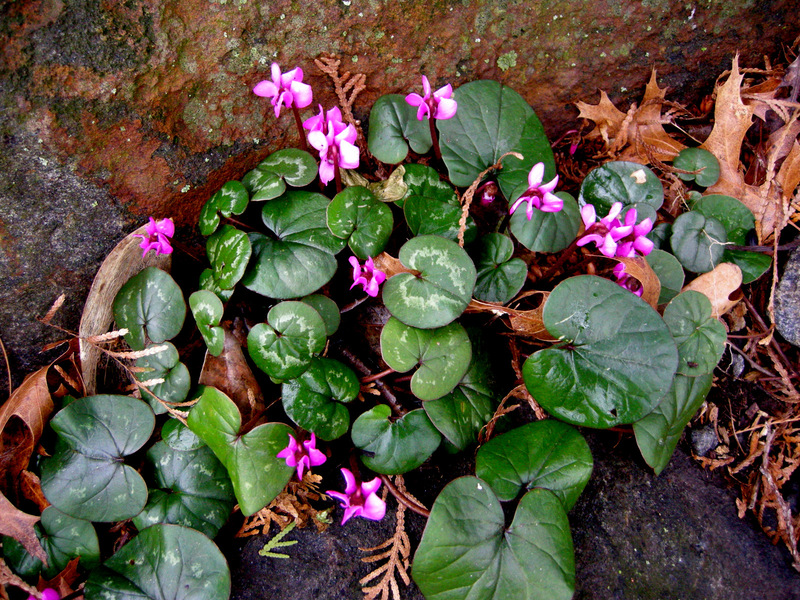 The spring-blooming Cyclamen are incredible. 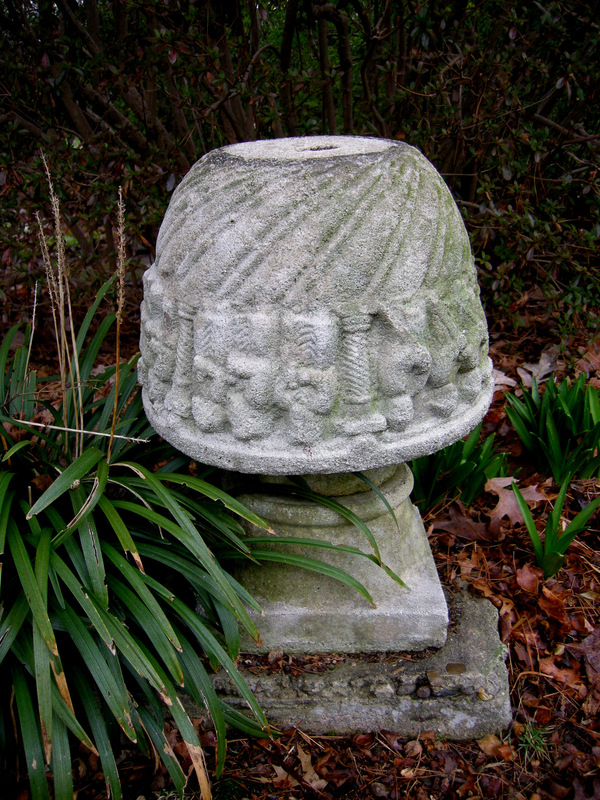 I’ve been meaning to start some here–I just need to find the best ones for my garden. Thanks for the thorough description and tour. Simply lovely! How lovely to see all these winter blooming plants. Many of the choices have quite an English feel to them – or at least are things I would expect to see in the UK in flower at this time of year (although I am surprised to see that English ivy is invasive for you). 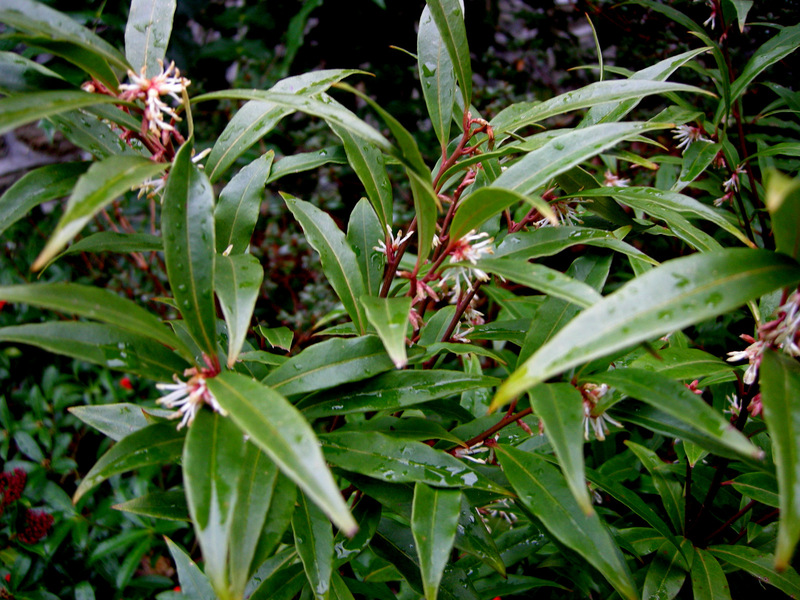 The question of which plant was most fragrant was interesting. 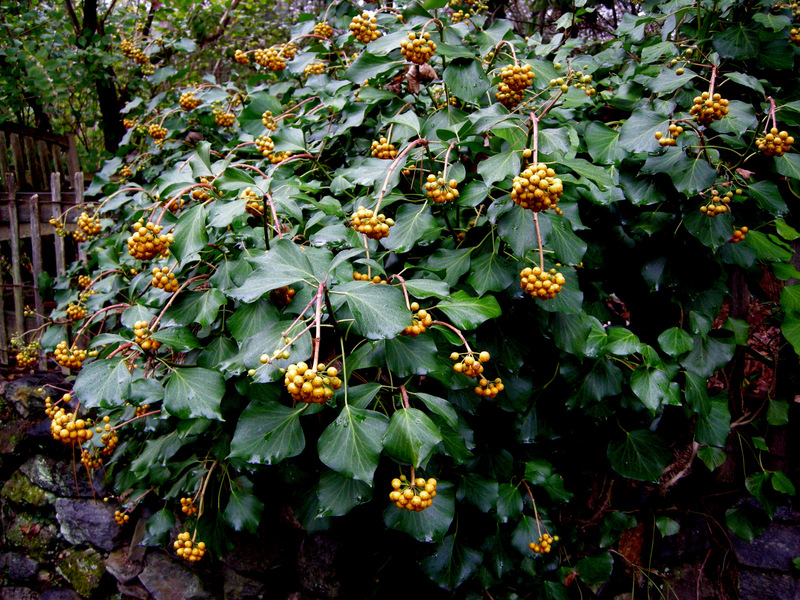 I would have guessed the Christmas box [sweetbox] which can be almost overpowering in England, and seems to drift a long way from the plant, or the daphne odora, one of my very favourite shrubs. Wish I could have been there. 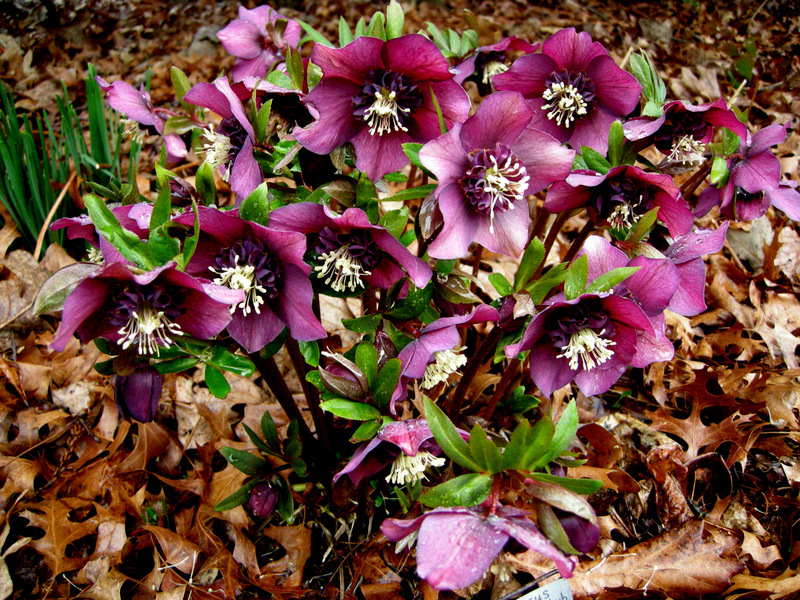 It’s 82F today in Delhi and definitely not time for winter-flowering plants! Really? Wow. 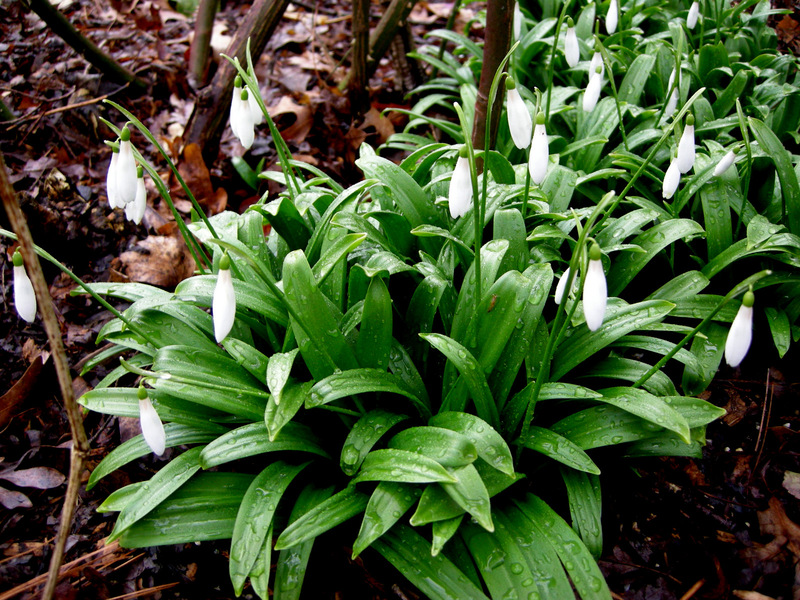 They are very common in the UK, to the point of being overplanted. We have two in our small back garden in England. 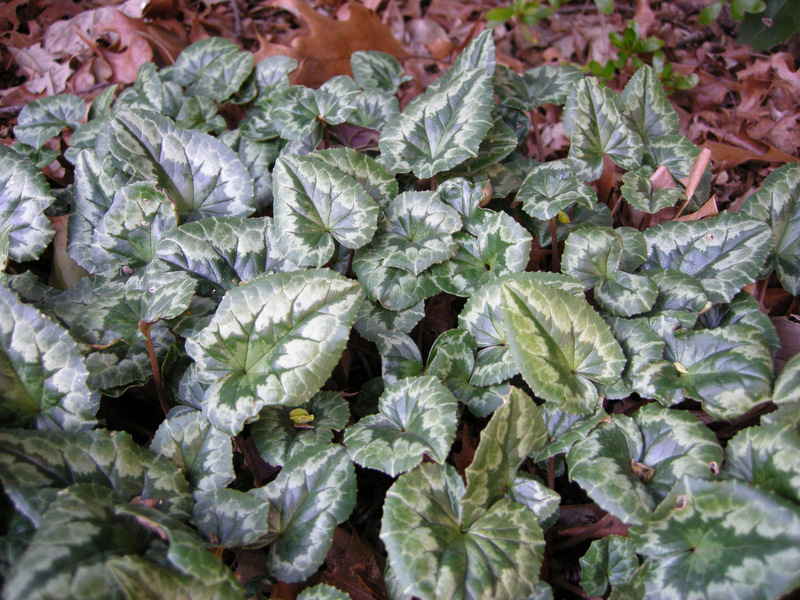 One of the joys of blogging is finding new perspectives on plants – English ivy as invasive; mahonia japonica as a new plant to an expert nursery owner; dry, reluctant winter aconite as vast sheets of ground cover…. I’m loving the highlights of the hardscape. My hardscape was already here when I bought the house and recently I have been seriously thinking about pulling up the patio and making it a)small and b)more natural looking/less Home Depot. I vacillate… it is really well installed, and very nice, I shouldn’t complain, but still…its just not me. His hardscape features are SO wonderful!! I like that feature in a garden probably as much as the plants. 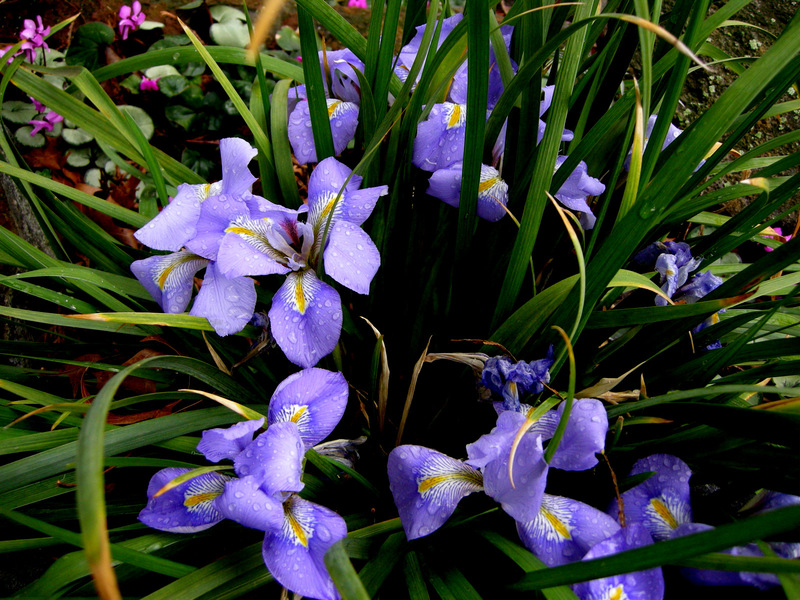 I have never heard of Algerian Iris. It is very beautiful and fragrant too? It’s on my wish list! 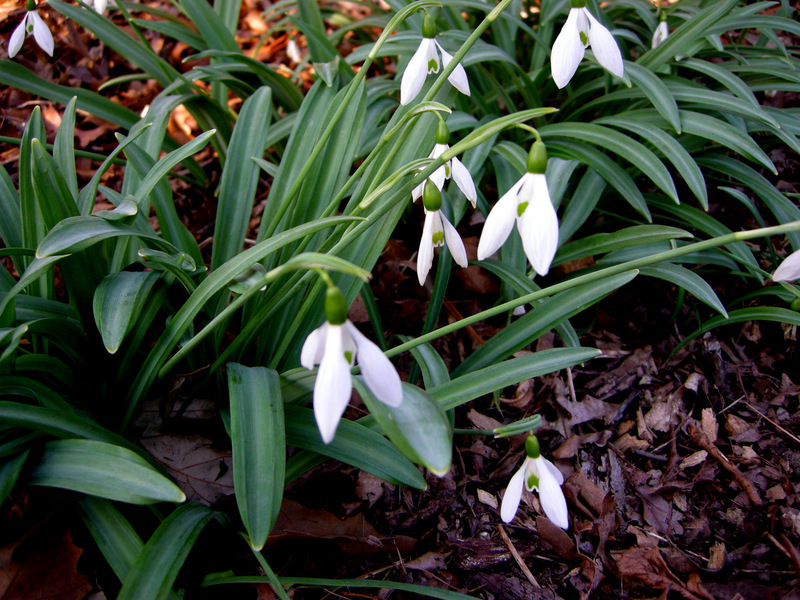 One of the things I love about all these early blooming plants is their wonderful scent. 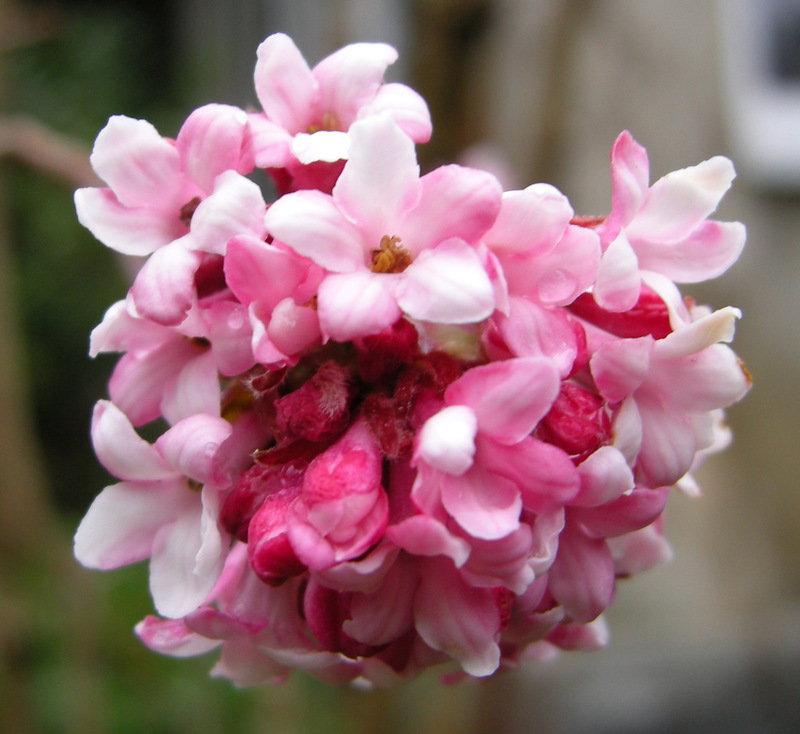 When we lived in a warmer climate sweetbox and viburnum were two of my favourites. thanks for the wonderful tour. It’s amazing to see how much is already in bloom. I love irises, but I. unguicularis is one I hadn’t heard of before. 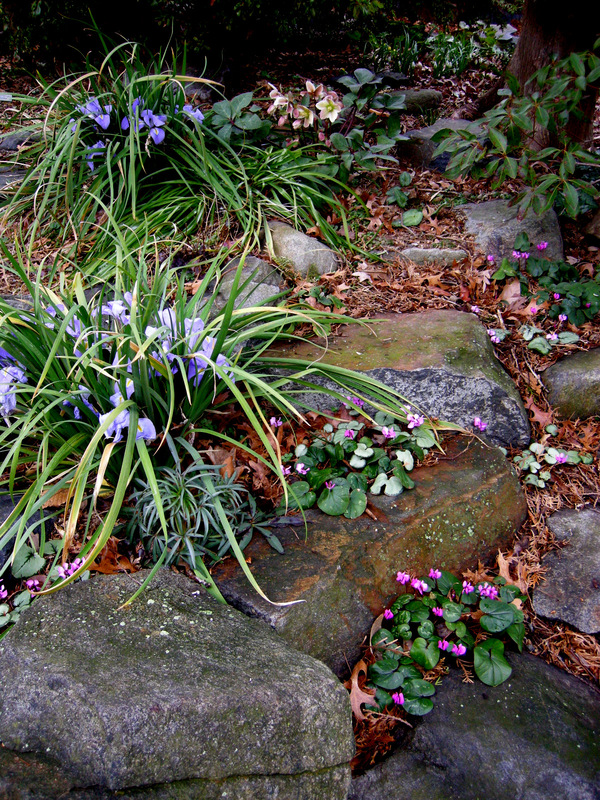 I can see why it was a big hit — early spring blooms, that gorgeous blue color, and fragrance to boot! 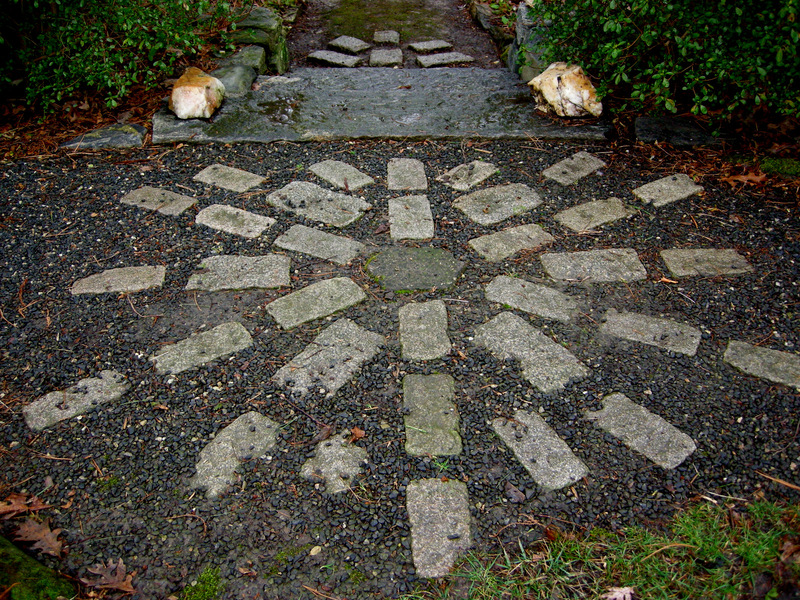 Even with all the flowers in bloom, I think some of the hardscape elements were my favorite features in this garden. I would have been there in the rain, too! 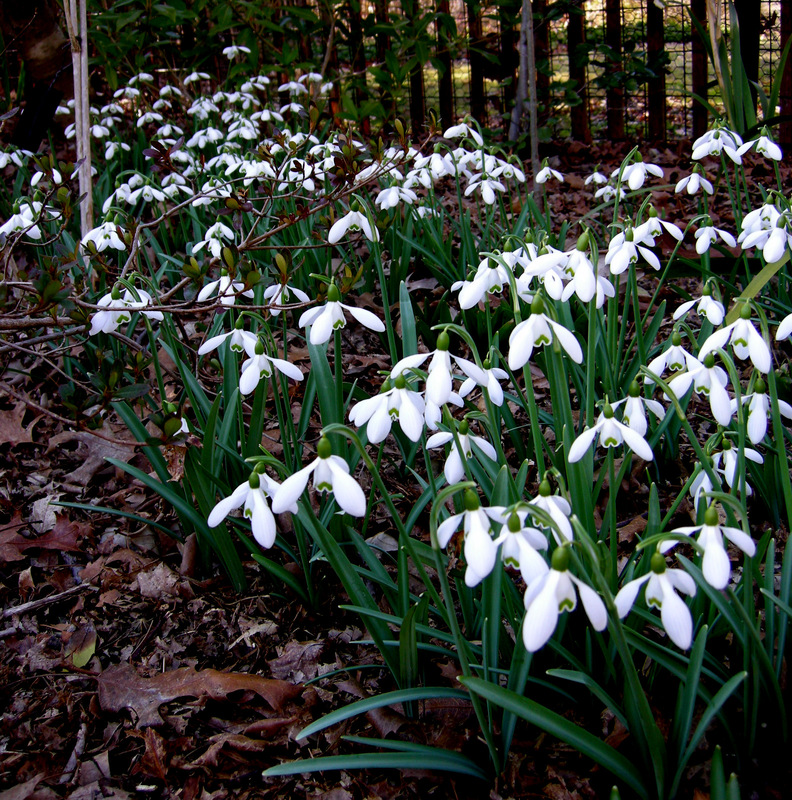 I love all the snowdrops; they really are lovely planted en masse.The cyclamen also are wonderful! 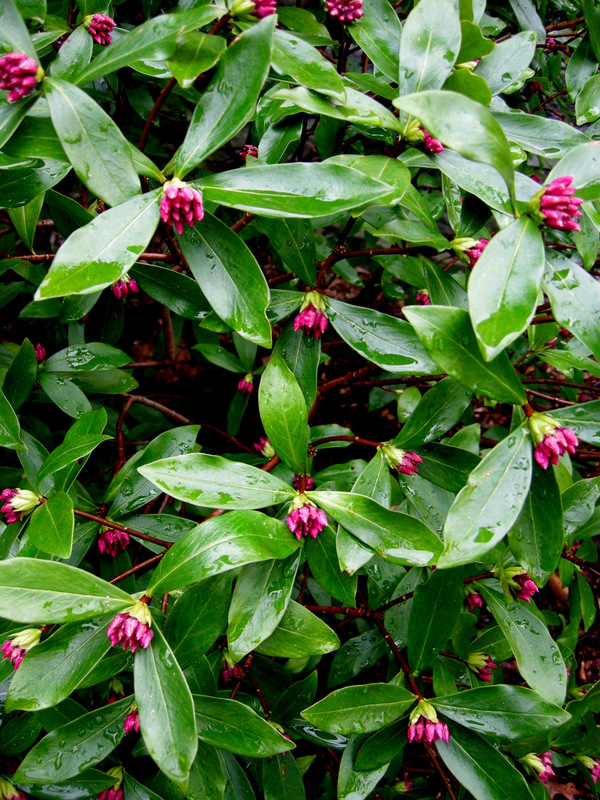 I am thinking of adding more winter daphne to my garden, risking planting them in the ground, as I have just one in a pot now, which I love. If I can find the perfect, well drained spot! Thanks for the tour. Can’t believe the price for a single bulb. Makes me think of tulip mania. 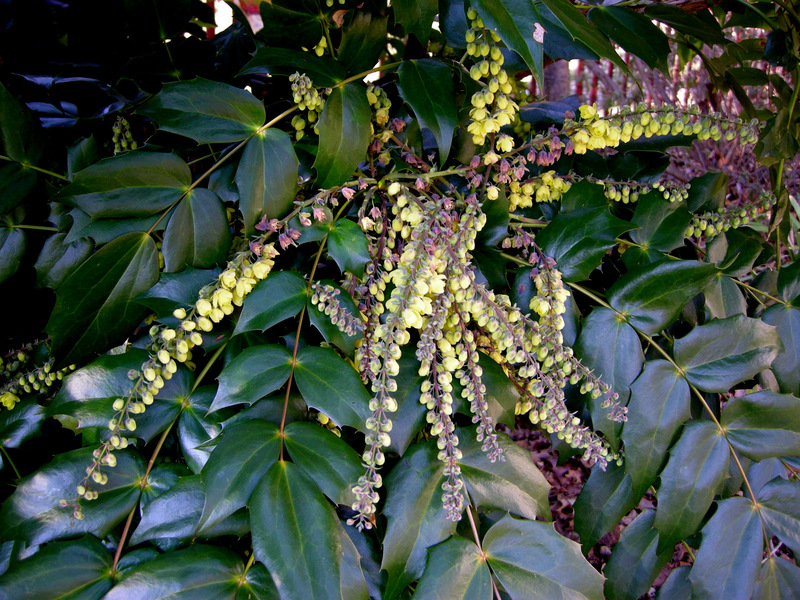 I’m embarrassed that even though I have a mahonia shrub in bloom in the back of the garden, I never realized it’s fragrant… And I thought I paid attention to detail in the garden! Have you posted a 2012 catalog? Thanks for such a quick answer! I must have mislaid that email. I didn’t see any shrubs. 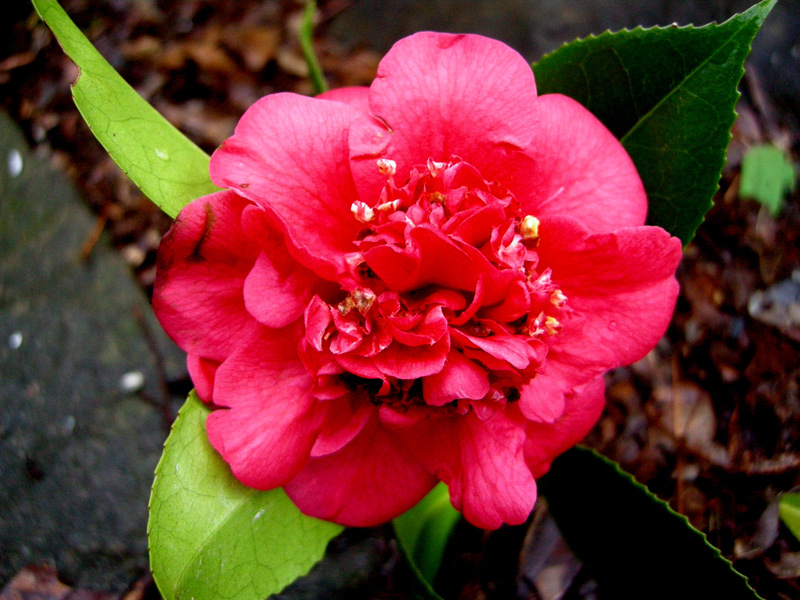 Will you have some shrubs (camellia??) at the March 24th open house? I do the shrubs by special offer and pre-orders. To see the catalogue, click here.